It’s been seven years since they split up, but ‘brand Oasis’ is still going strong. There’s a new documentary called ‘Supersonic’ coming out next month which charts their rise from unknown Manchester likely lads to Knebworth headlining tabloid fodder, which will coincide with the release of a new deluxe version of their third album ‘Be Here Now’ (out 7 October). Part of that deluxe release will be a previously unheard demo version of ‘Don’t Go Away’, which features guitarist Noel Gallagher on vocal duties. The demo is a lot more stripped back than the version featured on the album, with acoustic guitar dominating the mix and just a little electric guitar in there. The electric guitar solo has also been replaced with a three-note melody. The overall affect is a much more chilled-out song. It’s called the ‘Mustique Demo’ as Noel recorded it on the Caribbean island of Mustique with producer Owen Morris in early 1996. The recording sessions on Mustique produced 13 tracks, all of which will be included on the deluxe reissue. As well as the documentary and ‘Be Here Now’ reissue, there’s also an Oasis exhibition on in Manchester in October. 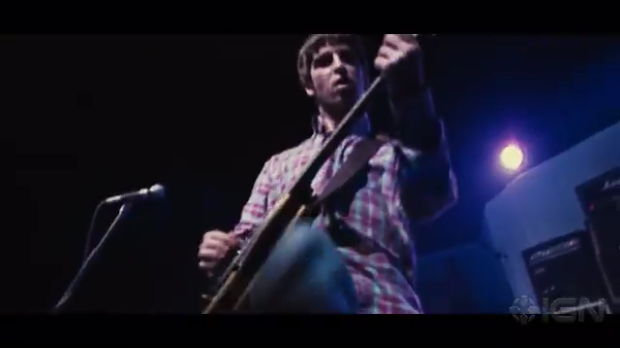 Running from 14-25 October at the Old Granada Studios, ‘Chasing The Sun: Oasis 1993 – 1997’ documents the group’s rise through the 90’s all the way to their era-defining two-night residency at Knebworth.